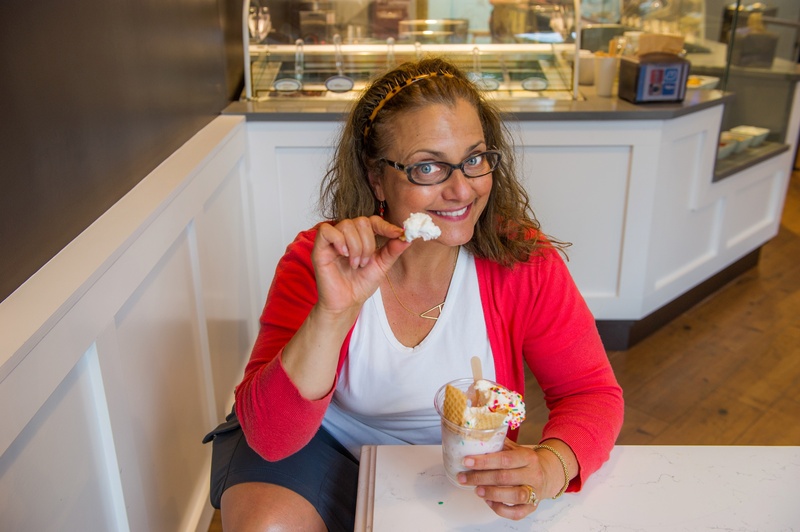 July is National Ice Cream Month, so for this month’s Living that Lakeview Life feature, Lynzie Wellin and I chose two of our favorite Lakeview spots to cool off during the hot summer months! One’s been a neighborhood staple for well over a decade, the other is brand new to Lakeview! Both have a unique menu, with distinct flavors. And – spoiler alert! – neither serve actual Ice Cream! I hope you check them both out soon – and let me know what you think! First up, Scooter’s Frozen Custard, on Belmont and Paulina. We sat down with husband and wife owners, Mardi and Denny, for some Custard and conversation. These two had us cracking up as we sampled (well, maybe more than just sampled…!) their most popular creations. 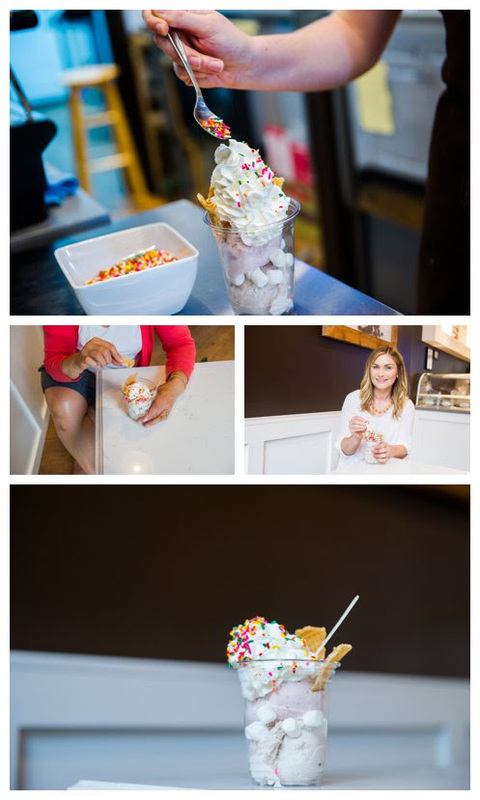 Mardi started us on a Boston Shake, which was rightfully voted one of the Best Shakes in Chicago by Time Out Magazine last year! You pick your flavor, and they add a small Chocolate Syrup Sundae on top! Yup…ON TOP! Scooter’s is a fave among some Chicago Blackhawks players, and Mardi and Denny are big fans, as well. So, we had to try the Blackhawk Concrete, a twist on their Signature Strawberry Concrete, full of Oreo cookies…two thumbs up! And, you can’t go wrong with the simplicity of a vanilla custard in a cone, one of Denny’s favorites. Denny lost his sight back in 2005. He and Mardi shared this experience with us. It is truly inspiring how much they’ve given back to the community in many ways. Chicago Lighthouse for the Blind is an nonprofit they’re actively involved with, making a difference in the lives of others who are visually impaired. How cute are Mardi and Denny two together?! They are two of the most delightful people to be around, and I had a blast photographing them! How long have you and your business been in the Lakeview area, and what made you decide to open it? Scooter’s first opened on June 19th, 2003. Mardi and I were leaving the tech world and decided to become our own bosses. After months of exploring opportunities and months of planning, we opened in our present location. When we first opened, we lived within walking distance. What’s your favorite “secret” thing – what makes your business unique – what do only locals know about your business? Our secret thing might just be the ‘mini’s’ we make for ourselves. Mini-shakes, mini-sundaes, mini-concretes. We have one of these most days to sample the quality of the product we are offering to our customers and to satisfy our own cravings for frozen custard. We think that one of the things that makes us unique from many businesses is how well we know our customers and our passion for making the best possible product every single day. What the locals know about Scooter’s is that our lines move quickly and if the line inside is long and you know what you want, the window line will often be shorter. Who’s your favorite Cubs player? Favorite Cubs player? Last year we loved them all. This year…! Our favorite Chicago Athlete, though, would have to be Patrick Kane, playing for the Blackhawks. What’s your favorite local spot to eat, drink or shop in Lakeview and what do you love about it? We love all of our complimentary neighbors. We are a dessert stop for many dining in the neighborhood. Pizzeria Serio is the closest and we do “treat” each other from time to time. We really do love their pizza. We have enjoyed getting to know them and watching them develop from a brand new pizzeria to an established and very successful operation. Give us a personal favorite item you carry/would like to talk about: clothing, accessory, Cubs gear…whatever you love! We love our dog Sheffield and his sisters Clark and Addison…. our sister cats. Denny lost most of his vision in 2005. We acquired Sheffield to become a service dog for Denny. Instead, we have become Sheffield’s service people. Sheffield came to us from deep in the north woods of northern Wisconsin. He’s never quite adapted to the sounds, smells and sights of the city. We love them all to bits! 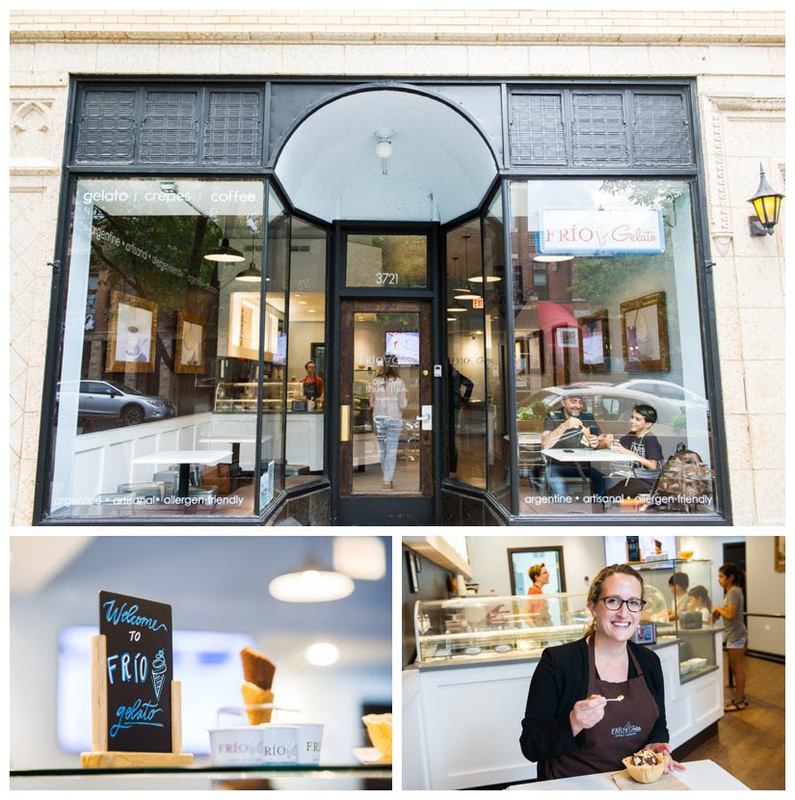 Because of our love for all things sweet and frozen, Lynzie and I couldn’t pick just one spot to feature this month, sooo…our second pick is brand new to the Lakeview neighborhood, FRÍO Gelato, on Southport and Waveland. FRÍO opened earlier this year, two years after their Evanston location. We had a great time with Emily, one of the owners of this family-owned and operated business. She walked us through the special flavors of Argentina, and Lynzie and I sampled their unique Flight of Gelato, four classic flavors we loved! The two that really jumped out? Yerba Matte and Malbec with Berries, such distinctive flavors! And I fell in love with the Sambayón, an egg custard with Marsala wine…to die for! The Key Lime and Bourbon sorbet (dairy free!) was so delicious, loved the kick of the Few Spirits Bourbon! Emily showed us how to make one of their signature Argentine treats, a cucurucho…which, of course, we then had to try (just a bite, I swear!) – it was perfect, not too sweet or too heavy, but absolute chocolate heaven! Our store on Southport opened on April 14th of this year. We opened it because we had been open in Evanston for 2 years and felt it was time to bring our product to the city. 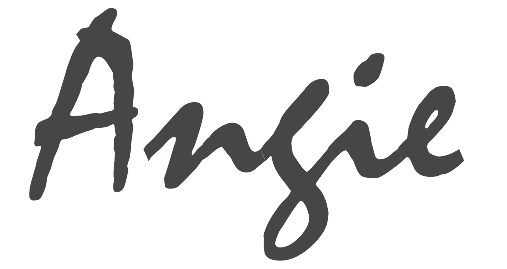 When we saw that this space was available, we thought it would be a great opportunity because of its proximity to other Argentine culinary destinations– Tango Sur, Bodega Sur, El Mercado, and 5411 Empanadas (and Cafe Tola, too!-Angie). Now, this block of Southport has all the staples of the Argentine cuisine– beef asado, empanadas and gelato! There are two things that I think make our business particularly unique that some customers do not know. First, it is family-owned and run! My two older cousins are the owners, one of their wive’s heads Marketing, my other cousin runs the production of the gelato, and I manage the operation of the stores. Although none of us had experience in the retail food industry, we come from a long line of entrepreneurs and decided to try something new a few years back. We all also serve gelato in the stores and interface with our customers to make sure we understand the business from all angles. Many customer’s comment on their “experience” at our stores, which is something we work hard at. It’s important to us that the customers have an Argentine experience when they walk into the store– from the flavors we serve, to the way we serve it, and our specialty products. Our team members who serve gelato all love to share their knowledge about how gelato became popular in Argentina and what makes FRÍO Gelato “Argentine” with customers. Second, it is locally produced in Evanston and new batches are delivered every day to the store. You can really taste the freshness in each flavor. 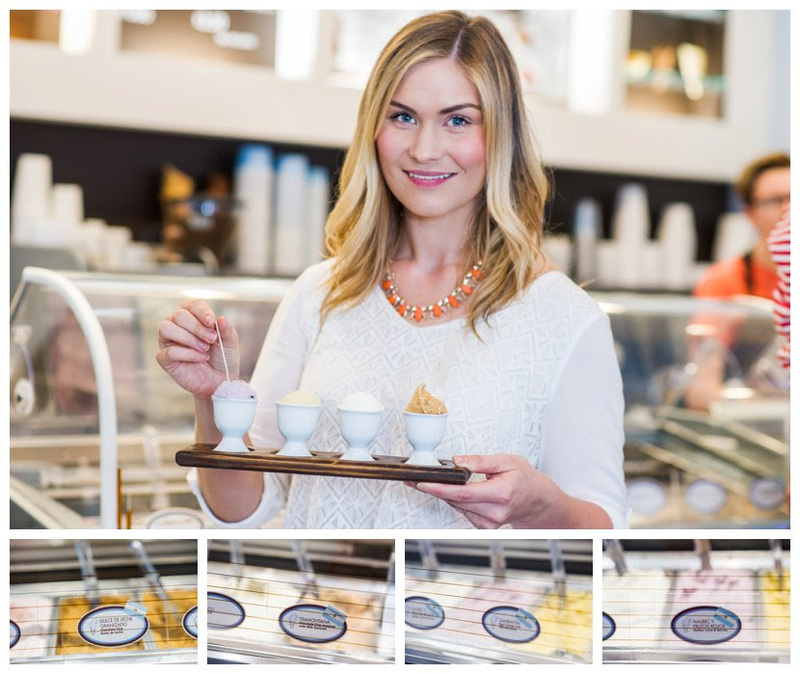 Different from other gelato producers, we pasteurize our own base at our kitchen– and we do not use any powders, artificial flavorings, or preservatives in our flavoring of each gelato. The Southport Corridor is my favorite part of Lakeview because of everything it has to offer and its lively community of small businesses. The cucurucho dipped in chocolate (bañado). All of our cones have been made with love by our small team. These cones are not only special because they are handmade in the store but because they are “double-walled,” which is how they come in Argentina. Also traditional in Argentina, ours are served in such a way that the gelato makes a peak at the top. Customers have the option of dipping this into chocolate to create a hard shell on top of the gelato– in Argentina we call this a “cucurucho bañado en chocolate” (or “A cone bathed in chocolate”). Ordering a cucurucho with chocolate dip is the most Argentine you can go. Lynzie and I finished our frozen treat extravaganza with a Gelato Sundae, perfect for sharing, and a Kid-Friendly favorite, with sprinkles because…sprinkles! And, yes…of course I’ll share! Lifestyle photographs taken on-location at Scooter’s Frozen Custard and Frio Gelato, both in Lakeview for the third installment in the Living that Lakeview Life blog series. However you celebrate this month, be sure to stop in to these two Lakeview gems! Both are very different, but when it comes to frozen treats these two top the charts!